I know I don’t often talk about it since I’m usually so busy hammering out new recipes to share with you lovely people, but in addition to my being a culinary genius Chihuahua chef, I am also a well-educated Nutrition and Dietetics master guru. Yes, it’s true. I am the TeenyLittleSuperNutritionist as well. Therefore, I would like to dedicate this particular blog post to talking about the nutritional components of one of the ingredients in the recipe I am going to share with you today. And just in case you’re still not convinced how easy it is to incorporate more bell peppers into your diet, I’ll be a little prince and help you out. I present to you my famous TeenyLittleSuperChef Stuffed Bell Peppers. *This dish could easily be made vegetarian by leaving out the turkey and either adding lentils, soy crumbles or more beans. 1) In a medium-sized pot, cook brown rice with 2 1/2 cups water until tender (about 30-35 minutes). 2) While rice cooks, heat olive oil in a large Dutch oven over medium-high heat. Add ground turkey, onion and garlic and cook until turkey is no longer pink and onions are soft. 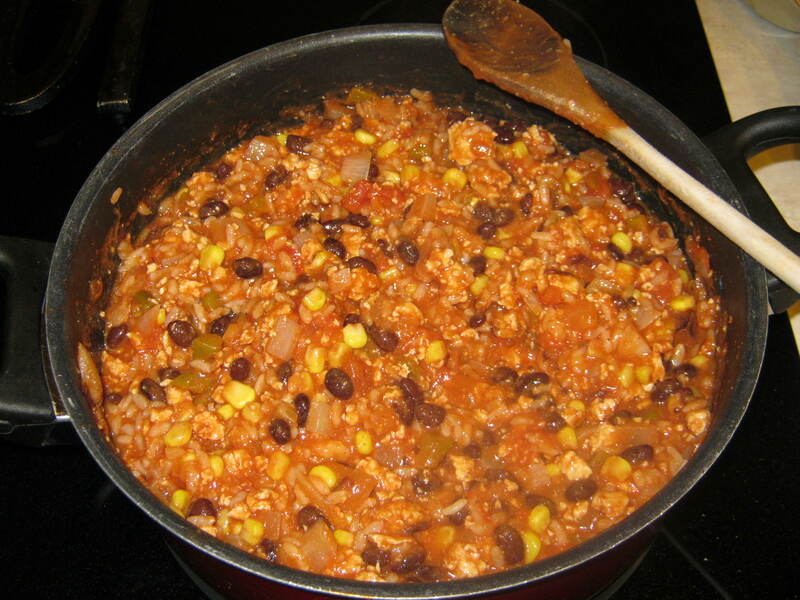 3) Add in diced tomatoes, black beans, corn, tomato sauce, tomato paste and seasonings and set temperature to medium-low. 4) When rice is done, add it to turkey mixture and allow to simmer for 10-15 minutes. 5) Preheat oven to 400 degrees. 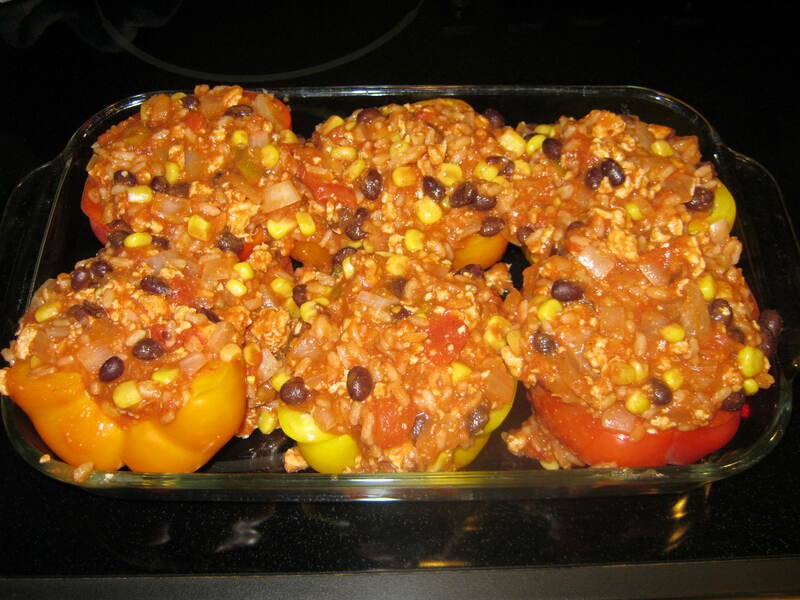 6) Place bell pepper halves cut-side up in a small casserole dish. Stuff each half with the turkey mixture. 7) Bake, uncovered, 20 minutes or until bell peppers are tender. 8) Top with shredded cheese and bake an additional 3-5 minutes until cheese is melty. 9) Place on individual plates, top with additional onions or sour cream and devour! Now if that doesn’t convince you to eat a bell pepper, please e-mail me as soon as possible, because there must be something serioulsy crazy going on in your brain. And while I am not a trained psychiatric professional (yet), I would like to help. That’s all for this teeny guy for now. 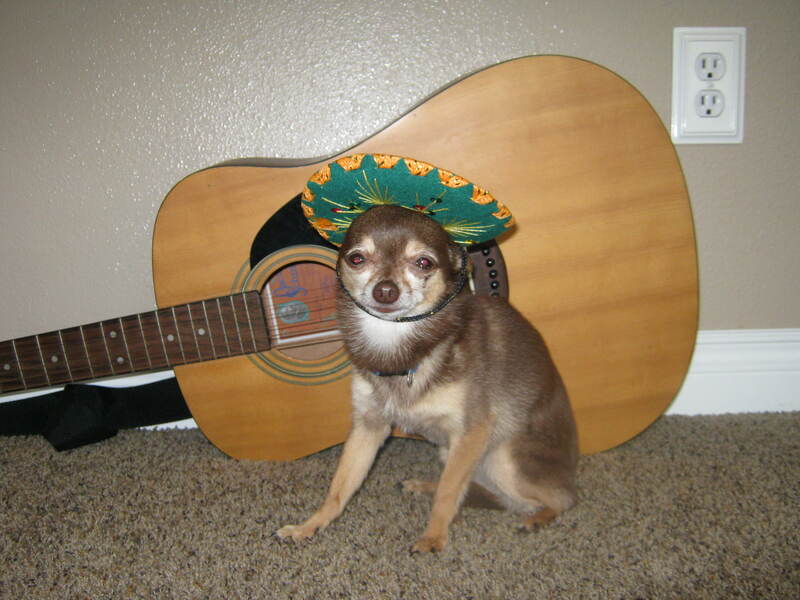 I need to be going as I have a gig tonight with my mariachi band. We made these delicious stuffed bell peppers for dinner, and they turned out great. Thankyou for the recipe Juan. Yes, we both helped out. I’m “bub’s” cousin, and she showed me your blog. My husband and I tried making these stuffed peppers last night also and they were soooo goooood! He generally doesn’t like ground turkey in things, but he didn’t complain about these! I’m officially hooked on your blog and all the healthy recipes! Thank you for sharing. Hi Dana! 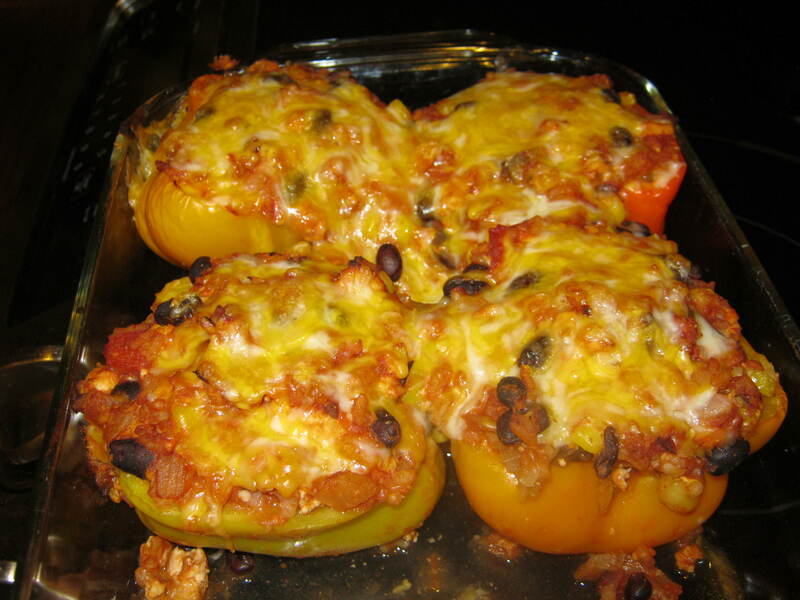 Thanks so much for making and commenting on the stuffed bell peppers. I’m so happy you and your husband enjoyed them. Thanks for reading my blog too!